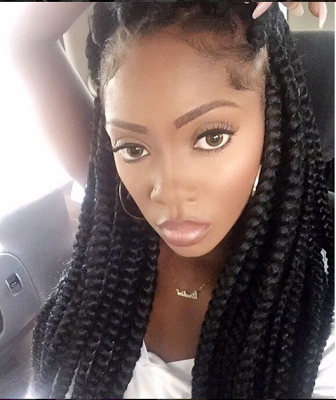 CHECHESMITHNATION : Tiwa Savage And Her Gorgeous Braids Spotted Up In Jamaica! 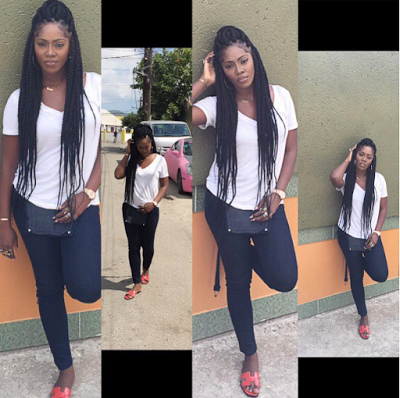 Tiwa Savage And Her Gorgeous Braids Spotted Up In Jamaica! The pretty singer and mother of one is spotted rocking a denim dungerees paired with white teez., but we are loving her braids more!